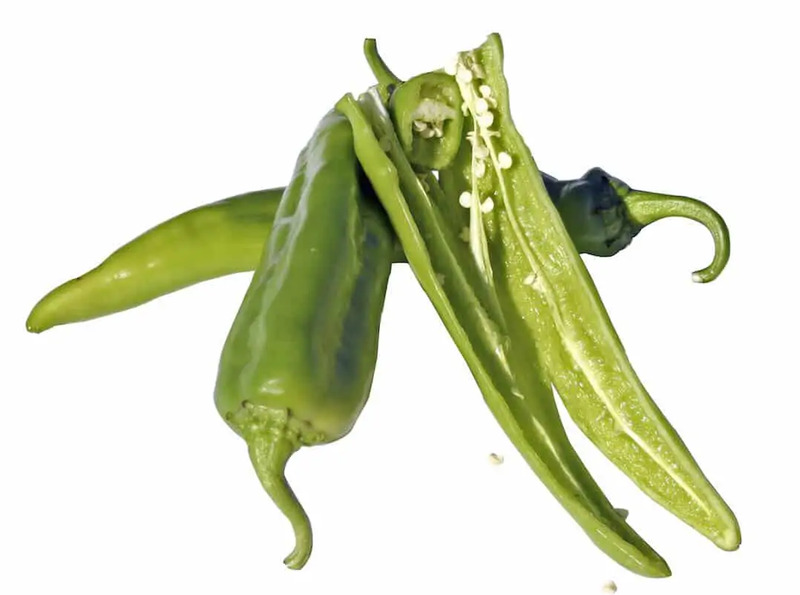 There’s a wild world of chilies on the pepper scale – some simple to find, others…not so much. These are two of the former. 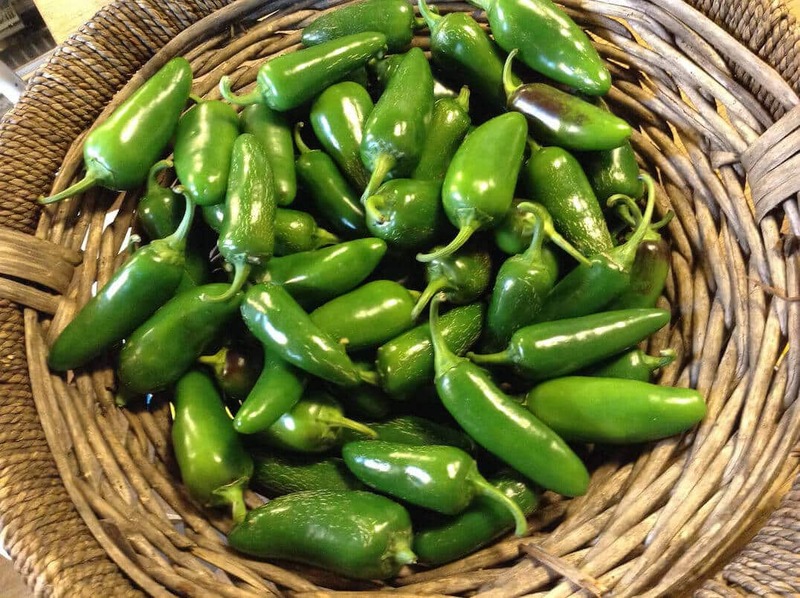 Anaheim and jalapeño peppers both are common sites in stores of all sizes, from farmer’s stands to supermarkets. But when you have the choice, to which do you turn? What are the similarities and differences between these two peppers? 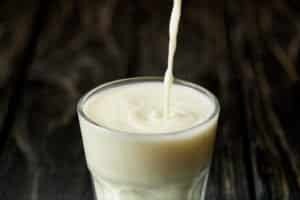 Which has more bite? We break it all down in another PepperScale Showdown. The heat: Which brings more punch? Jalapeño or Anaheim? The jalapeño is the champion in terms of heat between these two. 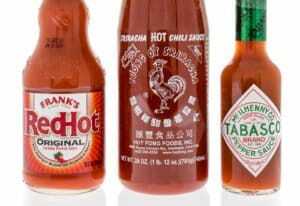 In fact, it’s sort of like a direct continuation up the Scoville scale from the Anaheim. 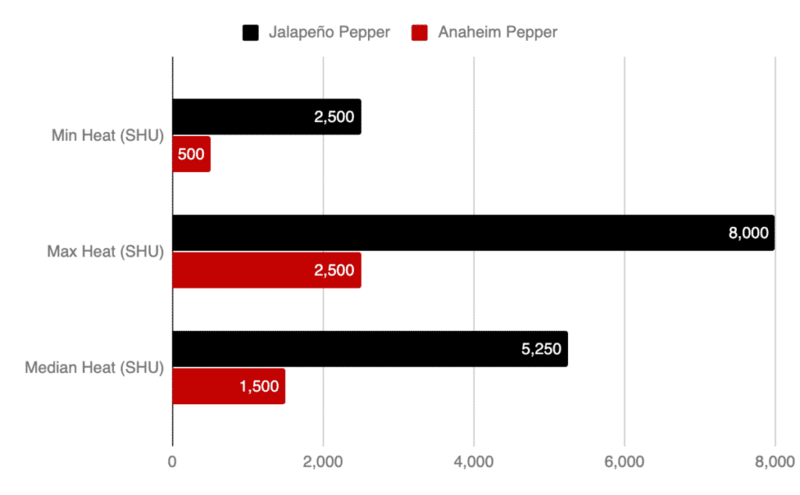 The Anaheim pepper’s Scoville heat rating runs a very mild 500 Scoville heat units to a much more noticeable 2,500 SHU. The medium-heat jalapeño starts right there, starting at 2,500 SHU and ranging up to a more tongue-tickling 8,000 SHU. Neither chili will have you sweating buckets while eating. The jalapeño sits at the lower end of medium-heat chilies; the Anaheim, at the upper end of mild. The heat swing means the Anaheim can be up to 16 times milder…or equal heat in the perfect “hottest Anaheim/ mildest jalapeño” condition. The look: How different do these chilies appear? Well, one looks like it could eat the other, that’s for sure. Anaheim chilies range up to nearly eight inches in length, while the jalapeño maxes out at two to four inches. They both have that distinct chili curve, but the Anaheim has broader shoulders and a pointier bottom than the more round shouldered jalapeño. Both mature from green to red; green is the most common way you’ll find them in stores. Despite the size differences, both of these chilies have thick walls perfect for stuffing. 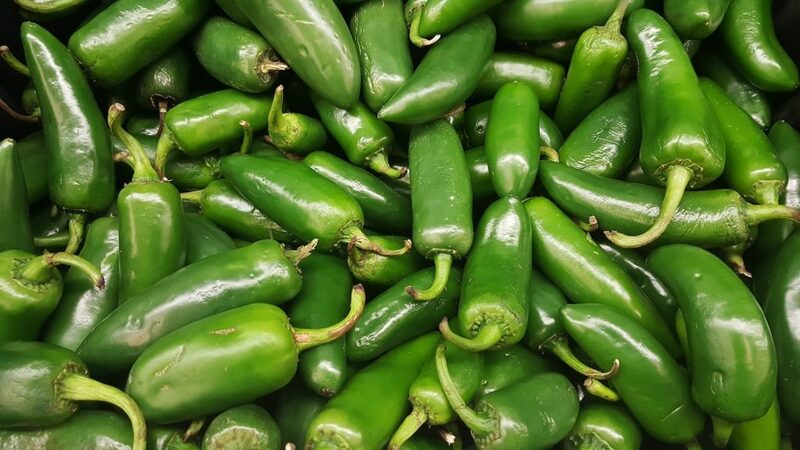 Anaheim chilies are an excellent bell or poblano pepper alternative for stuffed pepper recipes and, of course, jalapeño poppers are an appetizer that graces many restaurant tables, barbecues, and game-day celebrations. The taste: How does the jalapeño’s flavor compare to the Anaheim? The jalapeño has a bright grassy bite to it. A little bitter, but very eatable and versatile in the kitchen. The Anaheim falls in line more with the bell pepper – a somewhat sweet pepper flavor, but also very versatile. Both of these chilies can be used as kitchen staples, perfect for recipe experimentation since their flavors are not as savory or smoky as other chilies. 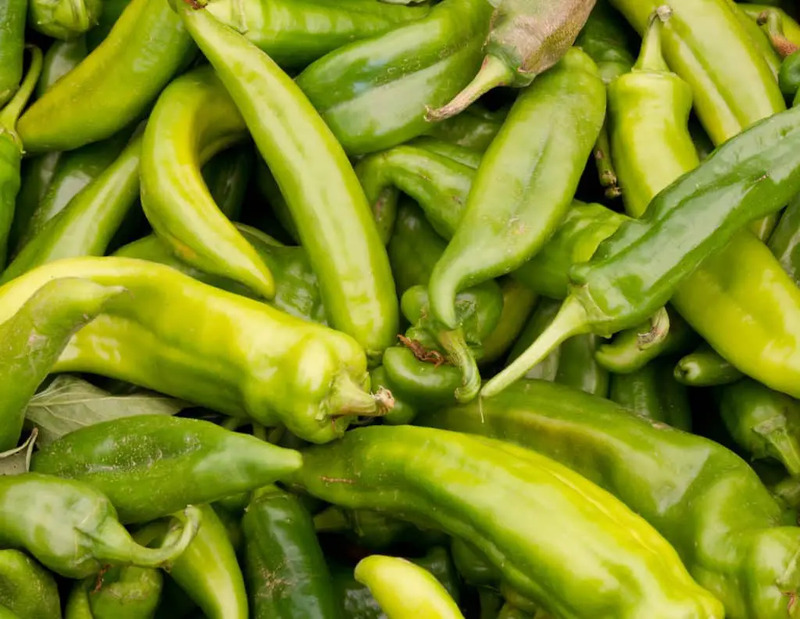 They both blend very well in salad and salsas, and they are subtle enough to work in most recipes that call for fresh green chilies. So they are both common chilies in stores, but is one easier to find than another? Most definitely this is the jalapeños world and we just live in it. 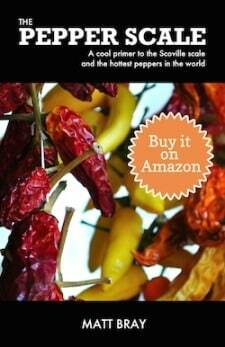 They have become the most common chili pepper site in grocery stores of all sizes. Anaheim chilies are common, but not at the jalapeño’s level. 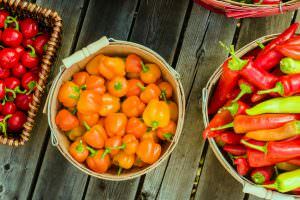 If you need a substitute for Anaheim chilies, try a bell pepper or read our post on Anaheim pepper substitutes for other alternatives. Can you substitute the jalapeño for the Anaheim or vice versa? Given the size, heat, and taste differences, you may think these two chilies wouldn’t work well as substitutions for each other. But, they actually do. 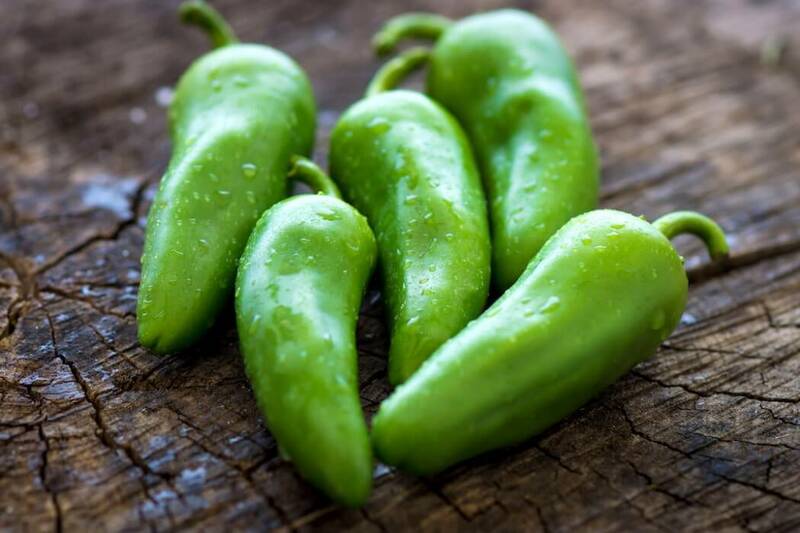 If you’re simply looking for a milder chili to chop into a salad or fresh salsa, the Anaheim is a fine mild alternative to the hotter jalapeño. And their similarly thick walls make both of these chilies interesting stuffing peppers. Sure, one’s popper-sized, and the other is nearly a meal unto itself, but it’s fun to experiment with how that slighter Anaheim sweetness works with savory sausages and cheeses. So if you want the bite-sized heat, go jalapeño. If you want the meal-sized sweet, try the Anaheim. Both, though, are very versatile in the kitchen.